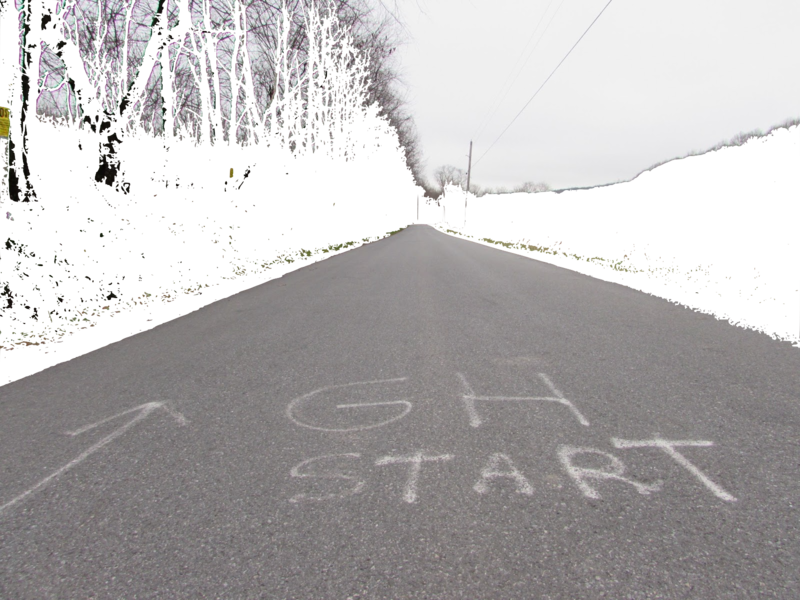 Today investigate a location on a quiet Bedford County country road that has led towards all sorts of conjecture, Gravity Hill, located near the small village of New Paris, PA. It is believed that vehicles and objects can "roll uphill," and gravity is suspended in this spot. Conjecture for the cause of this ranges from supernatural phenomenon, failure of gravity, a shift in magnetic force, and more. Is this place an anomaly or the case of an optical illusion? We go with the latter, but it is up to you to decide. I will start off this article off with a quick overview of the area. This is one of the most stunning and mountainous areas within the state. The first spot we are looking at is the site of the former Grandview/Ship Hotel location/Mt. Ararat Scenic Overlook. This mountain is always stunning to ride up. The summit, just uphill from this spot, is even higher than the elevation of 2,464 feet that this lookout is at. It makes for a great spot to get out and stretch your legs while taking a ride on the Lincoln Highway. While the Grandview Hotel no longer exists, the nearby Lincoln Motor Court is an excellent place to spend the night in the countryside here. On a clear day, you can see for miles from this spot. Both times I have taken Brit to this overlook, the skies were foggy. WE ARE HERE! The drive just to get to this point is beautiful enough on its own to make it worth a trip. This rugged, mountainous, and beautiful area exemplifies the beauty of the Pennsylvania countryside. Now we check out the myth of this spot, to figure out if there is something to the "rolling up hill," or if it is just a myth. This is the start of the second spot that is considered to be a "Gravity Hill." I felt that this one's optical illusion was actually a little bit stronger than the main attraction. They are both on the same stretch of road. The photos definitely do the spot more justice than when you are actually there. The spot is definitely downhill. When you take away the cut into the hill that they made into the surrounding hillside, you can see that the look of it being uphill is an optical illusion. Regardless of the case though, this spot is one of those strange roadside attractions that popped up all along the Lincoln Highway, and across all of the old time major highways, not unlike the Haines Shoe House near York, PA, or the fabled "Largest Ball of Twine" in Kansas. 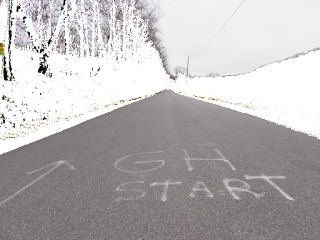 Gravity Hill is another one of those zany roadside oddities that has captured the imagination of generations of Americans. We first tried some marbles to test this out, after we placed the car into neutral to see what would happen, it did coast, as it naturally would on a downhill portion of road. The marble test proved futile due to the asphalt naturally being textured. Then we tried rolling the water bottle. That test was successful, though towards the end it just picked up the slight crown in the road and headed to the shoulder. Then we tried pouring water. This was successful in rolling downhill on this "uphill" optical illusion, though it eventually flowed off to the side on the crown of the road. Our verdict? This is a cool optical illusion on this very slight grade change on this road. There are two spots that are pretty neat. While I would not plan a trip around simply visiting this, the drive alone is worth it, meandering through the mountainous country roads and seeing the many different scenic areas around the area. In the immediate area are a few covered bridges, including this one, the Cuppet's/New Paris Covered Bridge. This bridge is well taken care of, and it is one of the few covered bridges that I have seen that has unpainted wood. A very beautiful little bridge that measures in at 60 feet. Cuppet/New Paris Covered Bridge has come a long way since our visit in May 2015. Built in 1882 it survived 2 fires and had deteriorated almost to the point of collapsing. Thanks to the efforts of Cecil Cuppet, last summer it was restored. It sits on his property and he welcomes visitors. So happy to know it's been saved.